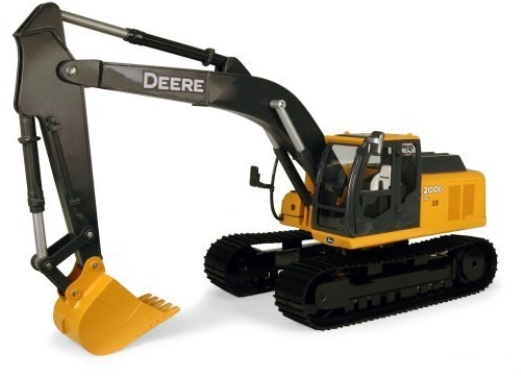 From ERTL comes the Big Farm John Deere 200D LC Excavator with authentic John Deere decor. The more successful your farm- the more equiptment you need. Dig a hole to knock the old barn down and make way for the new, or clean out your manure pit with the fully fuctional boom arm and bucket!